A natural focal point on Reinhardt University’s campus is Lake Mullenix. 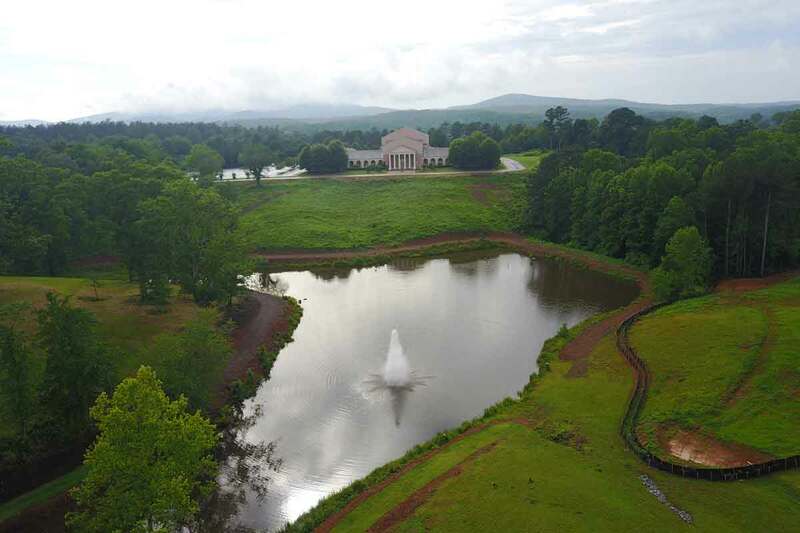 Completed in 1980, the spring-fed lake offers stunning views of the Falany Performing Arts Center and the Fincher Visual Arts Center and is an ideal setting for relaxation, physical activity and instruction. Students and visitors alike can enjoy the beautiful landscape that surrounds Lake Mullenix as they take a leisurely stroll on the walking path that circles the lake. For safety reasons, the University prohibits swimming and/or wading in Lake Mullenix. Fishing is permitted so long as state fishing laws and regulations are followed. Take advantage of this unique feature of Reinhardt University to enhance your faith, learning, and leading.